Anyone who works in the construction industry knows that one of the biggest challenges faced is cashflow. The nature of the sector means that construction firms have to be cash rich to grow and prosper. They are in the situation where they have to pay out large sums of money to buy the materials they need to complete the job. The fact that most builders are only paid when the job is finished also means they have to find the money to pay for the labour. As a result, construction firms frequently find themselves short of cash. In some cases, they are unable to bid for new contracts because they simply do not have the funds available to buy the raw materials, and labour, needed to complete the job. This leaves them unable to seek out and take on the bigger, more lucrative contracts. Fortunately, there are specialist finance brokers out there offering ways of accessing the funds that the construction industry needs. They also provide other services, such as credit control, which are tailored specifically to the construction industry to help building firms get their invoices paid on time. This is important, because the more of a firm’s clients pay on time, the better it is for a cashflow – and the fewer loans it needs to take out. A broker that specialises in construction finance arranges loans for builders, developers and traders using their outstanding invoices as security for the loans. These brokers arrange loans through financiers, who understand the idiosyncrasies of construction finance but still want to lend to those involved in the industry. 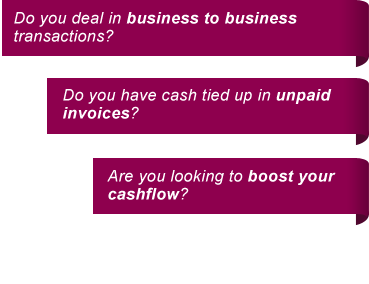 Typically, firms can borrow between 80% and 90% of the value of their outstanding invoices. When the invoice is paid, the cash generated is used to clear the loan and pay the associated fees. There is another potential advantage of borrowing money in this way. With invoice factoring, the lender usually chases the invoice payee for payment, which gives the firm that is borrowing the money more time to concentrate on its day-to-day business. Of course, not every firm wants this, so for those that do not want the financer to take on the responsibility of chasing up late payers, there is an alternative service called invoice discounting. With this service, the borrower remains responsible for collecting the money owed against the invoices they have borrowed against. Sometimes it is possible to use trade finance to raise money for construction firms. There are investors willing to lend money to construction firms that are currently working on contracts for solvent customers. However, finding these investors is difficult. Over the years, construction finance brokers build up working relationships with these kinds of investors. Therefore, when a construction firm turns to them for a loan, brokers can act as a facilitator for these specialist loans. If you are interested in construction finance, come and speak to us at Invoice Finance Scotland. You can contact us via the phone or email. We offer a range of affordable financing products specifically designed for those who work in the construction industry, and have already helped hundreds of firms to raise the money they need.